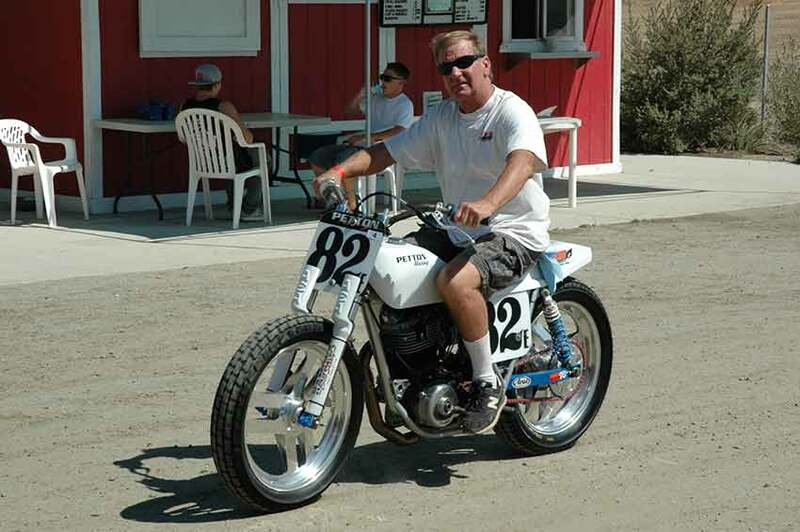 "Hateley Two for Two in 2014"
A great track and great racing greeted the one hundred twenty three entries at Perris Raceway on the 1/4 mile oval. As the sun set the moisture returned to the racing surface giving needed traction. 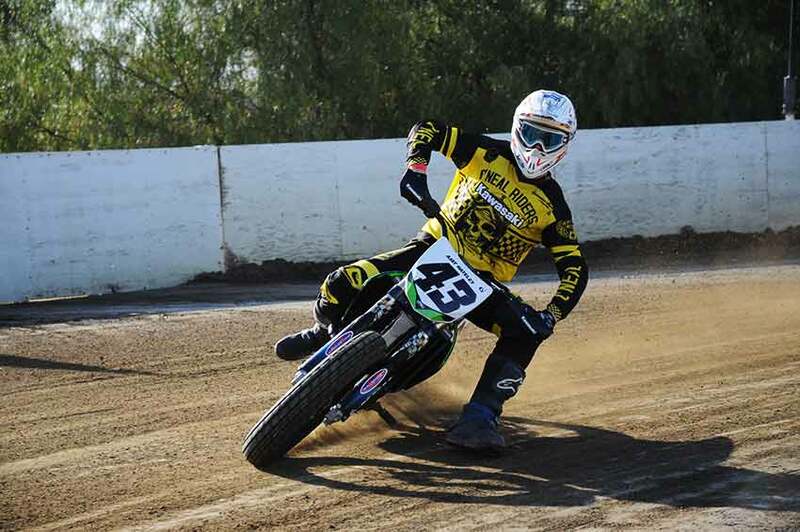 In just his second appearance at Perris this year A Jay Hateley aboard his Simi Valley Kawasaki made it two for two in 2014 as he captured his second straight Pro main event victory... Hateley a past Pro class Champion in the S.C.F.T.A. shows no ill affects from his recent foot surgery to repair broken bones. With many rounds remaining in the season and the double points paid at the final round Hateley is a definite contender for a second title. On the lite side of things, Travis Petton the 2nd who is deathly afraid of reptiles fell victim to Jeff "The Jester" Johnson. As Travis was digging out his helmet from it's bag to ready himself to take to the track a lizard fell out of his helmet just as he was about to put it on his head. Travis jumped and yelled as "The Jester" and other onlookers laughed. (Side note: The lizard was rubber) Then thinking the pranks were done for the night Travis relaxed, wrong as another lizard was found inside Travis's boot. The fun never stops at Perris!!!!!! !